The Northern Resident communities range spreads from Vancouver Island to South Eastern Alaska, and right through the Queen Charlotte Islands and whilst they a known to live in close family pods they frequently split in to smaller sub-pods throughout the winter months, often returning year after year to favoured spots. 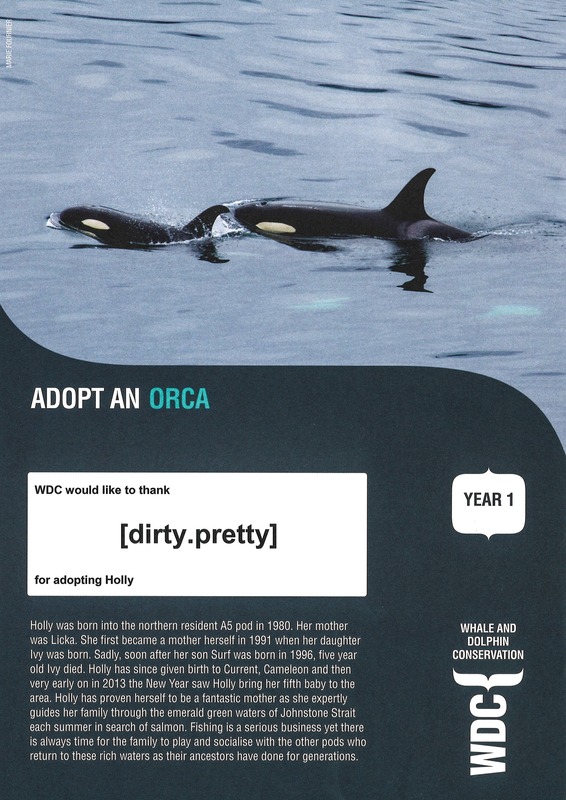 With this in mind, we’re super happy to share that we recently decided to donate our Group join fees to Whale and Dolphin Conservation by adopting an Orca named Holly! Holly is known to researchers as A42, or Sonara. She was born in 1980 to the A5 pod and she is the matriarch of the A8 Matriline. Since 1991 Holly has had five children, four of whom survive. Holly and her family return each summer to Johnstone Strait, where they are monitored by researchers and volunteers at Orcalab. Holly and her family are currently located around the northern and central coasts and keeping a little out of the way of the researchers at Orcalab, but they frequently return to Johnstone Strait towards the end of the winter months. Through the use of underwater acoustic recordings and sightings, they are apparently doing well. As part of our adoption, we’ll be receiving regular updates on Holly and the other Orcas supported by WDC, so be sure to check back in a few weeks for another update on their exploits! If you’d like to learn more about how your group fees and our donation works, please visit WDC here to learn more about their conservation efforts. If you’d like to learn more about Orcalab’s work with the Northern Resident community, please visit them here. Any group fees received in excess of our regular donation payment continue to be reinvested in to improvements on our builds and in to continuing to provide our environments for your enjoyment.